(CNS) – Over the course of 2,000 years, the Church has canonized myriad bishops, priests and deacons. Certainly each of these men lived an exemplary life of holiness, but what is common to all of them is their path to holiness was marked by a unique sacrament: holy orders. 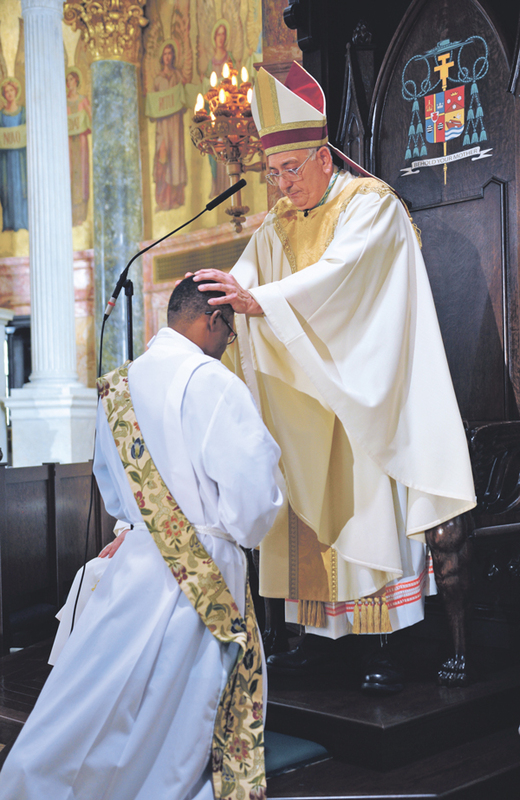 The rite of ordination bestows upon the new bishop, priest or deacon a special gift of the Holy Spirit, which enables him to exercise a “sacred power” for the service, upbuilding and communion of the Church. The sacrament of holy orders is the concrete way “through which the mission entrusted by Christ to his apostles continues to be exercised in the church until the end of time” for the salvation of all (Catechism of the Catholic Church, No. 1536). Father Anderson, a priest for the Society of Our Lady of the Most Holy Trinity, holds a licentiate of sacred theology in dogmatic theology. He is the pastor of St. Mary’s parish in Dover, Del.